The core idea of secular Buddhism is to grasp the spirit of early Buddhism and transpose it into the present. The best known approach to implement this idea is Stephen Batchelor’s Buddhism Without Beliefs, an approach which advocates an agnostic stance with regard to the doctrine of rebirth and denies its relevance for daily practice (Batchelor 1998). - Is there a way to revise the doctrine of rebirth, instead of completely dropping it? - What is the impact on the notion of justice? The doctrine of rebirth cannot be revised in a strict sense, but there are some striking similarities between the ancient and modern (biological) view on the topic. Since the stream of genetic and epigenetic information has the power to create consciousness and reflects experiences of past lives, it can be associated with the stream of consciousness (cittasantana) in the Mahayana model of rebirth. Parents not only determine the genetic constitution of their children, they also transfer character traits by means of epigenetic heredity. 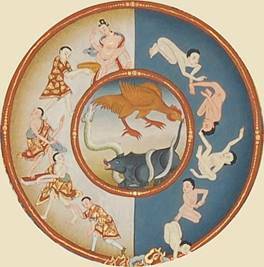 If genetic inheritance is associated with karma, then genes become an element of synchronic and diachronic connectedness (pratitya-samutpada). Instead of an individual learning process across successive lives, there is a collective learning process across successive generations. Given the biological model of rebirth, the belief in cosmic justice turns into a quest for mundane justice. There is a thought experiment for constructing such a concept, which complies well with the secular Buddhist spirit. John Rawls assumes that the legislative deliberation is taking place “behind a veil of ignorance”, so that the participants of the deliberation do not know their future genetic constitution and their future position within the society. If the participants imagine that their future self is contingent and impermanent – in accordance with the Buddhist doctrine of anatta and anitya – then the resulting principles of justice will be impartial.